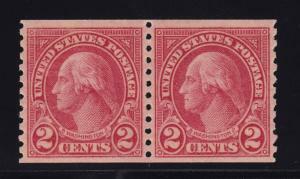 U348 - U351 Set VF unused Cut squares with deep color cv $ 50 ! see pic ! 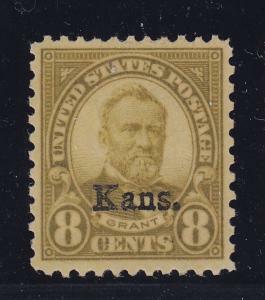 U348 - U351 Set unused cut squares VF with nice color ! see pic ! 599A Pair VF-XF original gum never hinged with nice color ! see pic ! 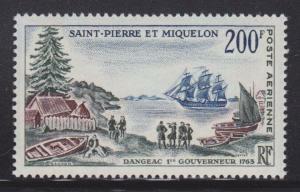 St Pierre & Miquelon C26 MNH ! scv $ 26 ! see pic ! 666 XF+ cert graded 90 original gum never hinged with nice color ! see pic ! 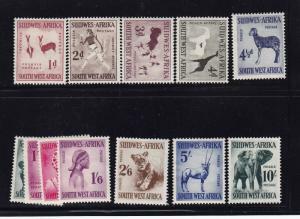 SW Africa Scott # 249 - 260 VF OG lightly hinged nice color cv $ 83 ! see pic !